I'm sorry I missed my Weds. weigh-in this week. I found myself a day behind all week at home and work. Finally, today, I've caught up on the home stuff. I did manage to finish two blocks for the Swoon QAL, today. I cut all my pieces yesterday and the day before. 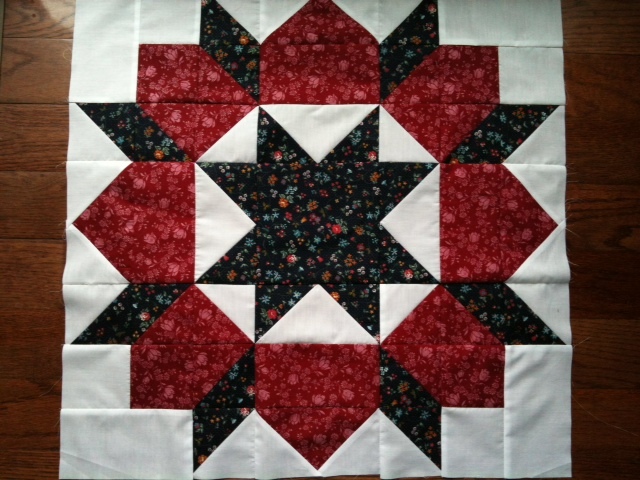 It actually took that long but doing it all at once was the way to go b/c I'm happy to just plug away on each block. 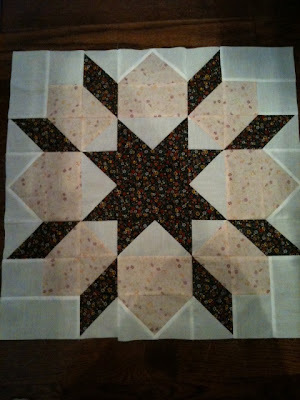 Also, once the first block was pieced, it was much quicker to piece the second one. Finally, I had to change my chosen Swoon QAL fabrics b/c it turned out I had fat eights of the Sip of Summer line and not fat quarters. Not wanting to purchase anything, I pulled from the endless (and I mean endless) "mom's calico stash". To keep the blocks feeling modern, I stuck with the white background. I think they are looking good. Now, a recipe to share. Please feel free to play with this one. It was a "what do I have around here" type that can be adapted. 1. Preheat oven to 375 degrees F. Cut squash in half lengthwise and remove seeds. Lay cut side up on a shallow baking pan and season the top with salt, black pepper, paprika & garlic powder. I just sprinkle over the top (use as much or little as you want or change the seasonings to your preference). Roast for about 35-40 min. 2. When your squash has about 10 min. left, put a medium frying on the stove. Heat oil on med./high heat for a couple minutes, season the meat with salt & pepper and place in the oil. Brown on all sides & cook through to desired doneness. I like some pink so this takes aroudn 4-5 min. for me with stew like cuts of meat. Remove from pan & set aside. 3. Put onions and garlic in pan and sautee until soft. Add wine & deglaze pan. Cooking off the alcohol. About 5 more minutes. Add about 1/2 tsp. italian seasoning, tomatoes, water and tomato sauce. Simmer on medium for another 5 or so minutes. 4. While simmering the sauce, remove squash from its skin with a fork. 5. Back to the sauce, add the meat to it and any other seasoning you want, mix. Add spinach the last 2-3 min. of cooking to wilt slightly. 6. Serve sauce over a helping of squash on a plate or in a bowl. Top with a sprinkle of grated cheese and enjoy! Love your blocks, now does the squash taste like spagetti? Okay...now, I NEED to go out and find me some spagetti squash to buy...see what you went and did? Great blocks...they look like lots of work...but, quite cool! The blocks are beautiful! That recipe looks yummy! What iron do you use? 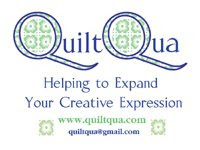 Make Life Top, how to quilt?